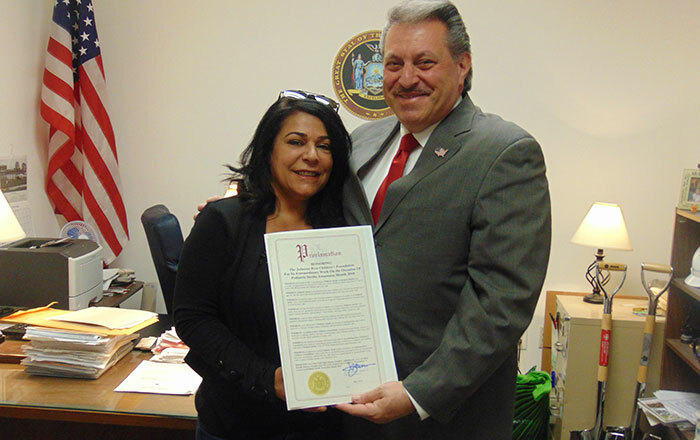 For promoting awareness of pediatric stroke and providing programs for victims and support for their families, the Julianna Rose Children’s Foundation was recently honored by State Sen. Joe Addabbo, Jr. (D-Howard Beach), who presented a Senate Proclamation to the group’s founder, Mary Rinaldo Hansen. “This proclamation is important because we aren’t just changing my life, we’re going to change thousands,” Hansen said. According to the Monroe Carell, Jr. Children’s Hospital at Vanderbilt University, a stroke is a brain injury that happens when blood flow to part of the brain is disrupted. The brain needs oxygen to survive. When blood is not flowing properly, brain cells do not get oxygen and they begin to die—which is what causes the symptoms associated with the stroke. 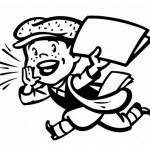 According MCCH, about three out of every 100,000 children will have a stroke before the age of 18. In newborns, 25 out of every 100,000 have a stroke. For more information on pediatric stroke and the foundation, visit juliannarosefoundation.org.